In my Creighton University ILD-831 course on Technology and Leadership this week, my students are reflecting on what “knowledge management” means in a cloud environment. Tom Davenport, originally with Ernst and Young, defined KM in 1994 – “Knowledge Management is the process of capturing, distributing, and effectively using knowledge.” That definition has certainly evolved in the two decades since. 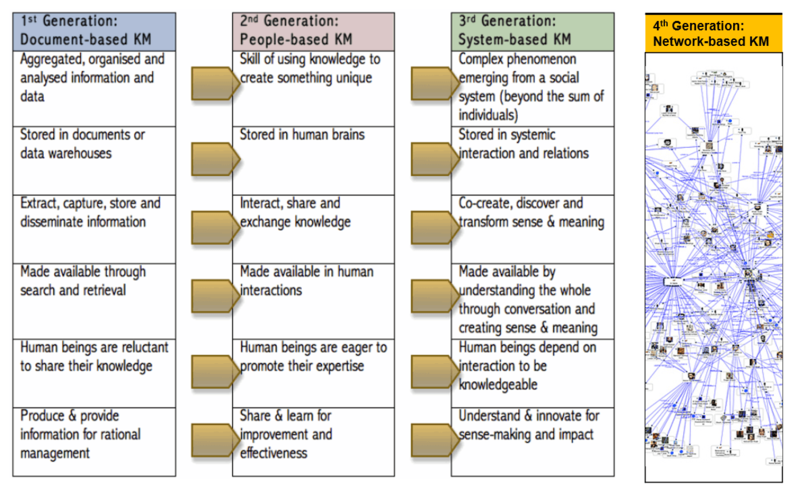 Nancy Dixon in 2009 noted three eras of KM – from leveraging explicit knowledge to leveraging experiential knowledge to leveraging collective knowledge. 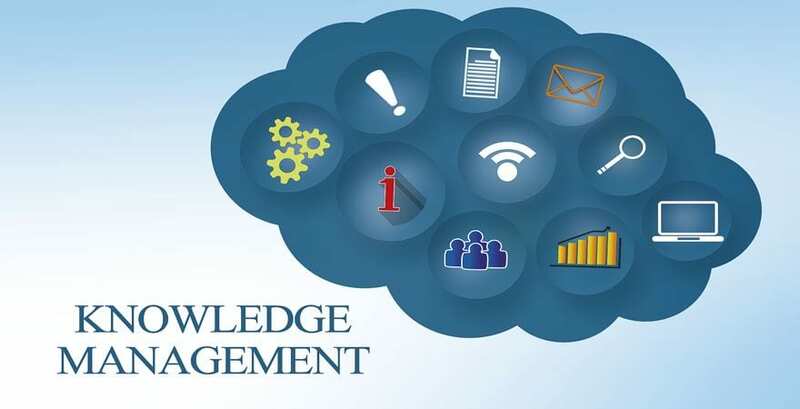 Tom Davenport, who defined KM above, wrote in a 2015 Wall Street Journal piece entitled “Whatever Happened to Knowledge Management” that the “…focus of knowledge-oriented projects has shifted to incorporating it into automated decision systems. The hot technology for managing knowledge is now IBM Corp.’s Watson—very different from the traditional KM model. Big Data and analytics are also much more a focus than KM within organizations. These concepts may be declining a bit in popularity too, but companies are still very focused on making them work. This shift to machine learning is at the heart to the latest book I am reading, Max Tegmark’s Life 3.0: Being Human in the Age of Artificial Intelligence. This book was on Bill Gate’s 10 favorite books about technology, and it poses the question of how artificial intelligence should impact the world. Provocative book…I’ll blog more as I finish it. But for here, let me just note that Tegmark unpacks how machines are now “learning” and what that might mean for organizations in the future. I tend to lean in the direction of Kevin Kelly (The Inevitable) and Dave Weinberger (Too Big to Know) that we have moved from previous generations of KM to one defined by networked knowledge. Blivin teams with Merrilea Mayo in their 2019 Shift Happens 2: Finding Strong Footing: The Future of Assessment in the Learning-To-Employment Landscape. They describe the growth of “working learners” and “learning workers” – the first pursuing traditional degrees while holding down jobs, and the second is pursuing small increments of education to advance within their jobs. They raise the question of what credentials will be articulated in the future…balancing units of knowledge (what they term “know compentencies”) with skills (“do competencies”). In my class, I noted that knowledge in the past was seen as a narrowing pyramid, with those at the top having the most critical knowledge. Yet the web allows any level of employee to gain information from the vast storehouse of human knowledge, and share that with anyone else at any level of an organization, which aligns with Jarche’s concept of social learning. If knowledge is now socially developed, what is the role of leadership in knowledge management…particularly in a world that now allows publishing…then filtering (as our American President demonstrates daily), rather than a vetting process of filter…then publish? Does digital technology afford opportunities for leaders to better manage information and knowledge? Or…as Davenport suggests, is Knowledge Management a concept that is fading in relevance. It will be interesting to see what my students think. What are your thoughts? Is KM still relevant? Is College still relevant?